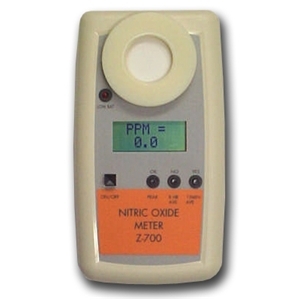 The Environmental Sensors Co. Nitric Oxide Meter is a pocket sized instrument that can measure the Nitric Oxide concentration in air in the 0-999 ppm range with a resolution of 1 ppm. It is used in chemical manufacturing facilities for example, the synthesis of organic chemicals. Personal monitoring for OSHA compliance and area monitoring is simple and inexpensive.